Can a Jewish education succeed in a secular world? 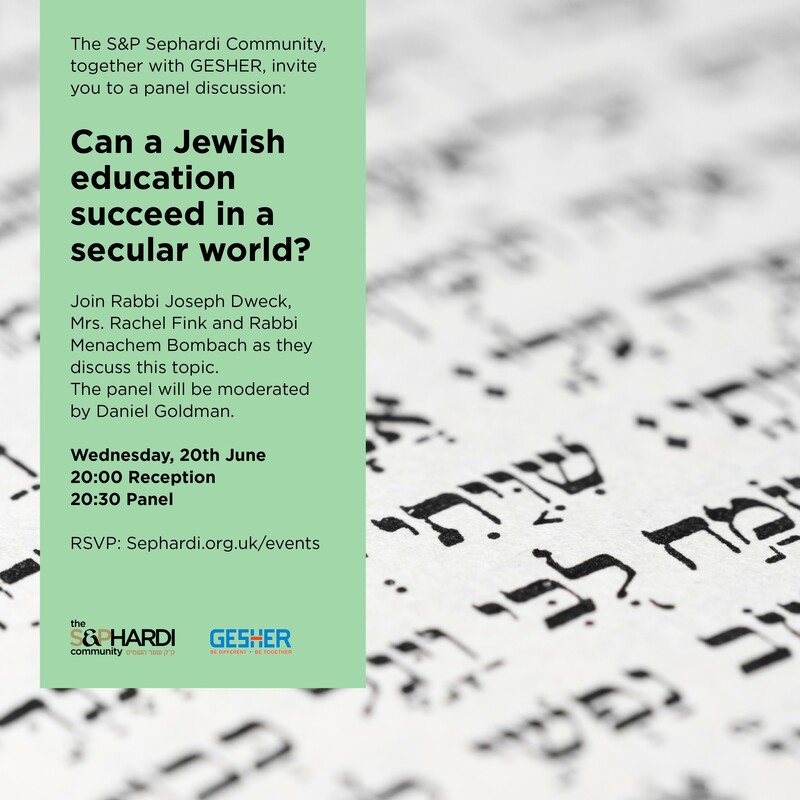 Join Senior Rabbi, Rabbi Joseph Dweck, Mrs. Rachel Fink, Headteacher of JFS and Rabbi Menachem Bombach as they discuss this topic. The panel will be moderated by Daniel Goldman, Chairman of Gesher.